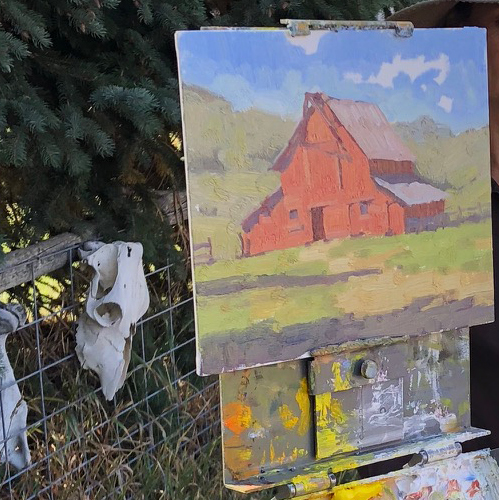 Here is some feedback from the Outdoor Painting Workshop I hosted in September in Steamboat Springs, CO.
We also had some little visitors during my demo. 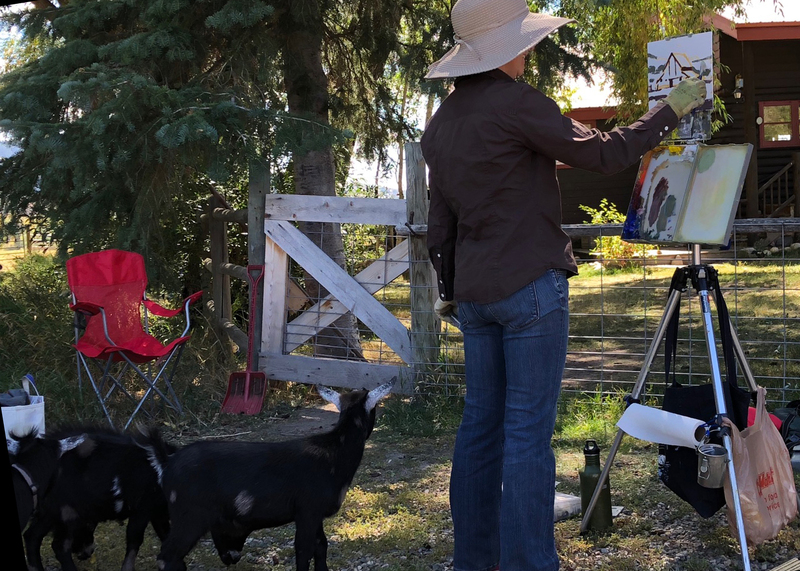 The pygmy goats wanted to nibble on everything from my paints and brushes to my pant legs. The comedy really got going when the herding dogs came out and tried to round us all up together! For more information about my workshops, please sign up for newsletter or follow me on Facebook and Instagram.